Share your Smashwords smarts and we'll send you a shiny new collector's edition Smashwords coffee mug, hot off the presses. Each month, thousands of new authors and publishers join Smashwords, and many come to us with no prior knowledge about ebook publishing and distribution. For some, Smashwords is a breeze. For others, there's a steep learning curve. Are you a Smashwords pro? What tips can you share with fellow authors and publishers to help them get up and running quicker, easier and with less frustration? 1. Write a blog post titled something like, "How to Publish and Distribute Ebooks with Smashwords," or, "How I Published [Book Title] with Smashwords," or whatever else you think is fitting for an informative how-to post. 2. In your own words, explain to the uninitiated what Smashwords is, and how authors and publishers can use Smashwords as a tool to get their ebooks out there. 3. Now for the best part. Share your smarts. How did you do it? What tips and tricks did you learn along the way to make it faster and easier to get your books properly formatted, in the Premium Catalog, and selling to readers? What other Smashwords authors inspired you along the way? Give 'em a plug! 4. Provide helpful hyperlinks in your post to the resources at Smashwords you found most useful as you were getting up to speed (possibly the Smashwords Style Guide, the FAQ or its glossary of ebook terminology, the Smashwords Book Marketing Guide, the Smashwords Blog, the How to Publish and Distribute with Smashwords page, or the Smashwords Facebook forum?). Also be sure to include your book cover image in your post (this is an opportunity for you to promote your book too! ), and add a hyperlink to your Smashwords author/publisher page and book your book pages so readers can view your finished work. 5. Add the Smashwords logo. Right mouse click on the one at left to save it to your desktop so you can add it to your post. 6. Once the blog is complete, post a link to it in the comments below and then email your complete mailing address to mug at smashwords.com. Once all the submissions are in, I'll feature the best of them (or all of them, if they're all great) in the body of a new blog post for early September titled something like, "Smashwords Authors Share Smashwords Tips and Tricks," which will become a collection of first-person how-to posts for other authors. 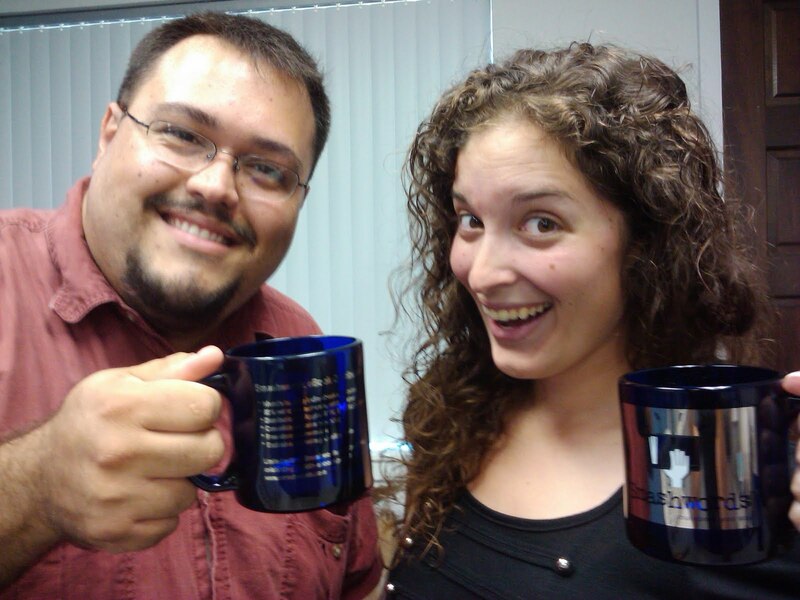 Not only will you earn a mug for your trouble, you'll help your fellow authors and publishers. You also get some traffic to your blog because we'll promote this collection as a resource for other authors and publishers (so put your best foot forward and make your fellow authors proud!). 7. We'll limit this to the first 40 respondents who submit their posts by September 3. If the response is stronger, I'll give you a rain check for the next batch of mugs we produce in a couple months. 8. Optional Bonus: Now that you've taken the time to create a great resource for your fellow authors and publishers, share it. Are you in a writing club? Offer to contribute it to your next newsletter. 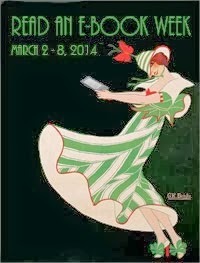 Email it to your friends who aren't yet doing ebooks. Facebook it, tweet it. Offer it as a guest blog post to your favorite blogs (see more blog marketing ideas in the Smashwords Book Marketing Guide). Create a PowerPoint and post it to Slideshare.net (my recent Powerpoint, The Literary Agent's Indie Ebook Roadmap, has had over 9,000 views already. Wow. I love Slideshare.net. For more on them, see my August 7 Site Updates post). 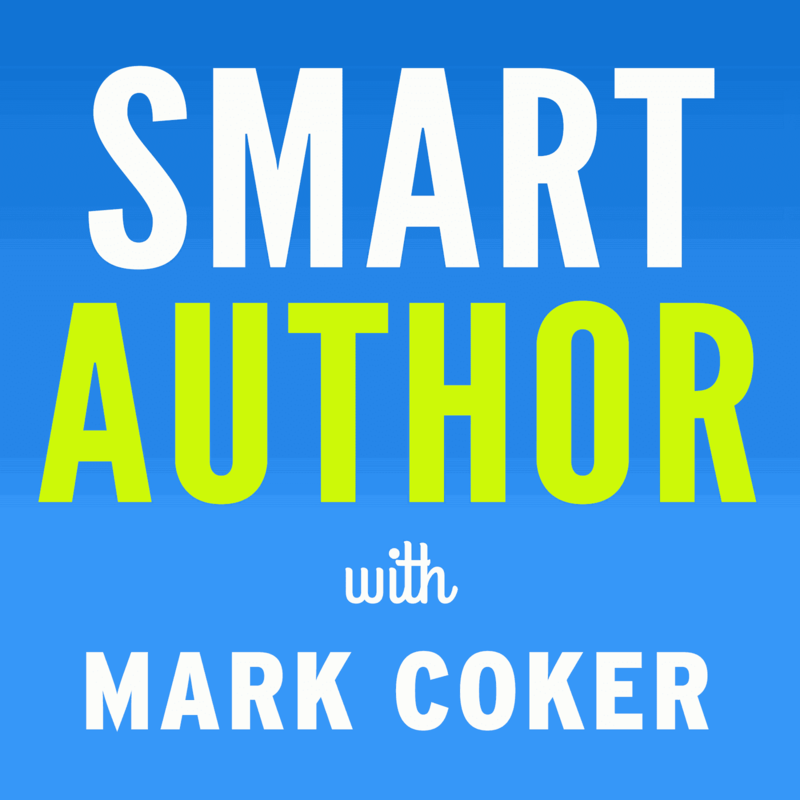 Share your smarts, help your fellow authors. They're high-quality, made in the USA cobalt blue mugs with white, black and silver metallic printing. Only 70 of them exist. They're not for sale. 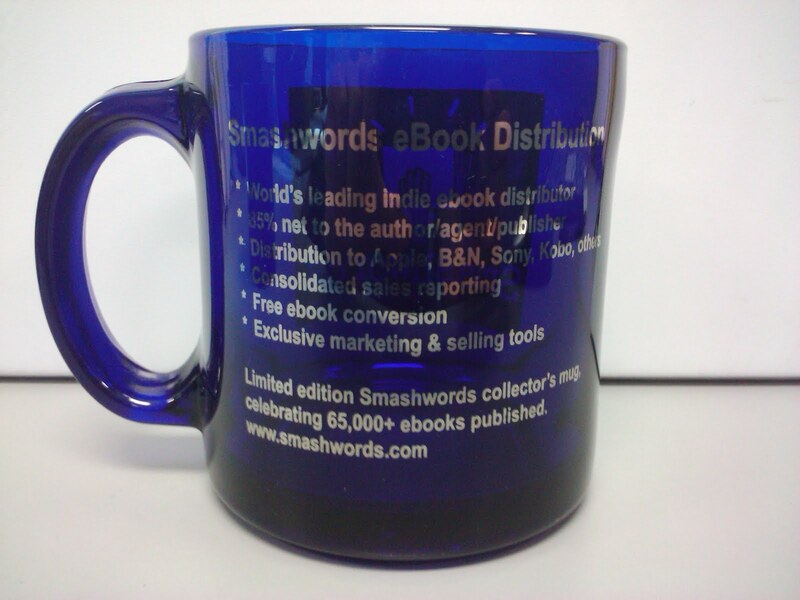 The front of the mug shows the Smashwords logo on a shiny silver background (they're actually small amount of real silver in that ink). The back summarizes the benefits of the Smashwords service (click the image at below to enlarge). There's also a note that it's a collectors edition mug commemorating our first 65,000 ebooks (a milestone we zipped past about two weeks ago). Thanks to our good-looking models Aaron Fernandez, who works on our vetting team, and Angela Schiavone, who works on our support team (she was a Smashwords author long before she was a Smashwords employee). Also thanks to Jim Azevedo, our new marketing manager who took the photos. Although I'd like the mug, since my writing, in fact, my whole life, is powered by caffeine, really the tips are so few. It was easy. Guess I could write a blog on that. I agree with Julia. I have published on both Amazon and Smashwords and overwhelmingly, Smashwords is easier. Less stressful. And nicer to me. Thank you for providing such an excellent resource for writers everywhere. You make publishing a dream come true for so many. And like, Julia, yes - mayb I could write a blog on that. Must have been the shiny mugs throwing me off my game! Publishing on Smashwords had been fun. It's not just publishing, but the whole Indie experience. Smashwords has changed things for the writer and the reader. I've had a draft of this sitting for a while gathering dust, but the lure of a shiny mug forced me to finish it and post. Thanks! I wrote a Squidoo lens a while back, write my book: ignore spelling, grammar, and formatting, encouraging people to write their book. It said nice things about Smashwords because I really respect what you are attempting here. No mug for me, just keep up the good work. Hey, I already did a blog post like that back in June. No, I'm not crying about it, just letting others know. Sharing The Smashwords Love: My Story of Why & How I came to self-publish"
Have published several ebooks with Smashwords, now assist others in doing so and teach a course on electronic publishing using Smashwords. Fabulous platform and company. Great to see these flowing in! David, if you could turn that into a blog post that would be great. Nicola, in fairness to the folks doing stuff now, awesome posts from almost two years ago won't qualify. Sorry! Maybe you could do an update 22 months later? Hey, I was reading this, and thought, I would love to do this. Here's mine! Thank you Smashwords! Glad to help promote Smashwords. It is a wonderful addition to the universe. I cheated. I hate formatting but Smashwords has a list of people who will do it (for varying amounts of money). They don't recommend anyone but they got on the list somehow. I used Shelley Schadowsky goodlifeguide at cox dot net. Premium acceptance with no problems. The kind of relationship you can't get at amazon or any place else. I then read Smashwords Book Marketing Guide by Mark Coker, founder of Smashwords, which is free and full of ideas. http://www.smashwords.com/books/view/305. An added feature is the ability to hook up with other authors. Many pluses, no drawbacks so far. Will the coffee cup hold other liquids? Keep up the good work Smashwords. will the coffee mug make the swim to the uk? smashwords is american right? see this is why i make up my own geography in my books! As you will read in my Blog, I went to see the Dalai Lama when he visited the Sunshine Coast this year and compassion was his message. I am following his message by having compassion for fellow authors. Use Smashwords to publish! They make it simple and easy! All the stress is taken away! Thanks Smashwords from a very new member of your community! I'm launching a new novel in two days and using Smashwords to do it. 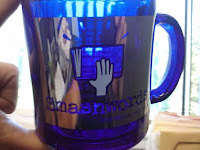 The mug is great and in my favorite color too, but have been blogging about Smashwords since I started with y'all and just wanted to say "Thanks!!!!" For all of those 'newbies' to smashwords, it's as easy as '1,2,3' providing you follow the style guide in its entirety, and to a much lesser degree, Mark Coker (just joking Mark!). Take heed of all the helpful advice given by Mark and the crew at smashwords. My first novel, 'Nick & Jenny', was a nightmare when I'd finished writing it, everything was wrong regarding formating etc. One quick read through the style guide, made the endless corrections, uploaded it and 'hey presto' accepted for publication and straight into the premier catalogue. My second novel, 'Danny's Navel Adventure' was automatically formatted as I was writing and I spent very little time on corrections, again, it was uploaded, accepted and off to the ebook stores. Here's my blog post: ...about formatting for Smashwords. I would enjoy having my caffeine in one of those mugs while pounding away at my keyboard. Well, here's two very important facts about publishing through Smashwords: 1. READ THE SMASHWORDS STYLE GUIDE before you try to publish your ebook! Save yourself and others time and frustration. 2. Picturebooks have word count problems if text is integrated into illustration images (as they are in most picturebooks). You'll need to add all text separately outside of illustration images. This can detract from the appeal but delivers a functional product with a more accurate word count. My epicturebook for kids; "What Color Is Hooper Today? ", showed as having about 60 words on ibooks when initially uploaded through the Smashwords premium catalog distribution channel. When I re-entered the epicturebook with the text separated from illustration images, it showed as having about 475 words. When a parent is looking for a picture book for their child, they are far more apt to download a story with 400+ words than a story with 60 words. This was proven by the fact that as soon as the Smashwords Premium Catalog Distribution Channels reentered with the revisions, downloads began to occur where no activity existed previously. So here's the moral of the story: READ THE SMASHWORDS STYLE GUIDE and Keep your text separate from illustration images; even in picture books! I am no author/publisher, so can't share my "Smarts" the way you want. I can however try and contribute with my "reader's smart" instead. Just a few days ago, I wrote and posted my feelings/thoughts as a customer regarding the Smashwords website. The most striking feature of Smashwords is its quality control. They review the books thoroughly and originality of the content is the motto. My assistants did some mistakes and I learned from their mistakes through Smashwords. I am happy that they value the hard work of the writer. Hats off to Mark Coker and his team. What a great idea for a contest! I try and write a blog post everyday and it is easy to run out of topics. Smashwords is a great platform for writers so this article was easy to write. I really don't need another coffee mug cluttering up my desk, so I am not writing a blog. I devote most of my free time to writing, reading, listening to my jazz collection and helping other playwrights in my playwright workshop, however I am taking time to write this comment....THANK YOU. SMASHWORDS! Here is my link...http://marandarussell.com/2011/08/29/tips-for-publishing-on-smashwords/. Hope I get a mug, I think they look awesome! Funny, I was just about to do a Smashwords formatting post... amazing timing! I had a post scheduled to announce my latest Smashwords book, so I added some tips. oops, forgot the logo. its on there now. enjoy! how to tackle smashwords by d.c. sargent. Wenz, we'll ship it international for this limited promotion (I may regret that once I see what it costs, but let's go for it). I have learned more from the SMASHWORDS STYLE GUIDE than anything else. I am new to this whole process and reading and following the guide has helped me with all my books. It's awesome. My tip for making a Smashwords book is to remove all of the paragraph marks at the end of lines. Next change the paragraph block to offset a blank line with a paragraph mark at end of block. only art you have done yourself like my own tee shirt screen print of man on a horse. Upload! Publishing on Smashwords simplifies the process of formatting and distributing an ebook to all retail markets and all ereaders. I'm a relatively new smasher, but my writing group asked me to do a guest post about my decision to publish via Smashwords. Oh I hope I get that mug! Thanks for everything you do Smashwords! Remember, you promise to ship the mug overseas if the post deserves it. Hard work done in publishing doesn't count for much if your book isn't noticed. Two of my Smashwords titles just won grand prizes and were awarded the Dan Poynter Global eBook Awards [...Until Proven Innocent in the Mystery Category and Celestial Navigation for the Complete Idiot] in the non-fiction hobby category. Visit our site to see both of our winning titles. I've been fooling around with discounting, and finding that most readers are delighted to get a "bargain" almost independent of the list price. I've also found that once I've seeded a market (or market segment) with some of these "special deals" I see an uptick in both sample downloads and purchases at list prices. I just had a request from a group which liked my book, asking for a discount for their audience, but specifically suggesting it did not need to be "significant" just something that gave them a reason to communicate with their constituents. Thanks everyone for your awesome contributions. I'm compiling the list now. 1. Please make sure your posts included a mention of your book, and a hyperlink to your Smashwords book page or author page. Make it easy for your fellow authors to view your book(s). 2. 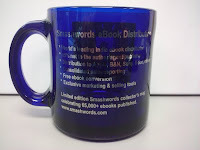 If you submitted a blog post above, remember to to send an email to mug@smashwords.com with your name and physical postal mailing address so we know where to send your mug. We'll send the mugs out in the next two weeks. If you don't receive the mug by the second week of October, please click "Comments/questions" from any Smashwords page, provide a link to your blog post, and send us your mailing address again. Thanks! Hope you'll check it out! Thanks for making the whole e-book experience so easy!